Dr Sellke is the Karl Karlson and Gloria Karlson Professor and Chief of Cardiothoracic Surgery at Brown Medical School and the Lifespan Hospitals. Dr Sellke is a native of Indiana and graduated from Wabash College and Indiana University School of Medicine. He is a noted clinical cardiothoracic surgeon, researcher, and author. Dr Sellke was the Chief of Cardiothoracic Surgery at Beth Israel Deaconess Medical Center and the Johnson and Johnson Professor of Surgery at Harvard Medical School prior to moving to Brown. His research interests include the regulation of the microcirculation in health and disease, ischemic injury and inflammation during cardiac surgery, collateral vascular formation and the use of growth factors and cell therapy to increase blood flow to ischemic tissue. His clinical research interests include optimizing outcomes after cardiac surgery, the reduction of bleeding and transfusion, and neurocognitive dysfunction and atrial fibrillation after surgery. Dr. Sellke serves as Associate Editor for the Journal of Thoracic and Cardiovascular Surgery and the Circulation Journal. He is on the editorial board of Circulation, Basic Research in Cardiology, the Canadian Journal of Cardiology Coronary Artery Disease, and the Journal of Cardiac Surgery. He is the Editor of the 7th, 8th, and 9th editions of Sabiston and Spencers' Surgery of the Chest and the 1st and 2nd editions of the Atlas of Cardiac Surgical Techniques. Dr. Sellke is the author of more than 490 peer-reviewed journal articles, as well as numerous book chapters and abstracts. He is the Past Chairman of the Executive Committee of the Council on Cardiovascular Surgery and Anesthesia of the American Heart Association and the Past Chairman of the Advisory Council on Cardiothoracic Surgery of the American College of Surgeons. Sellke has served on the Board of Governors of the American College of Surgeons and is was Chairman of its Humanitarian and Volunteerism Awards Committee, past-Chairman of the American Heart Association Committee on Scientific Sessions Program. 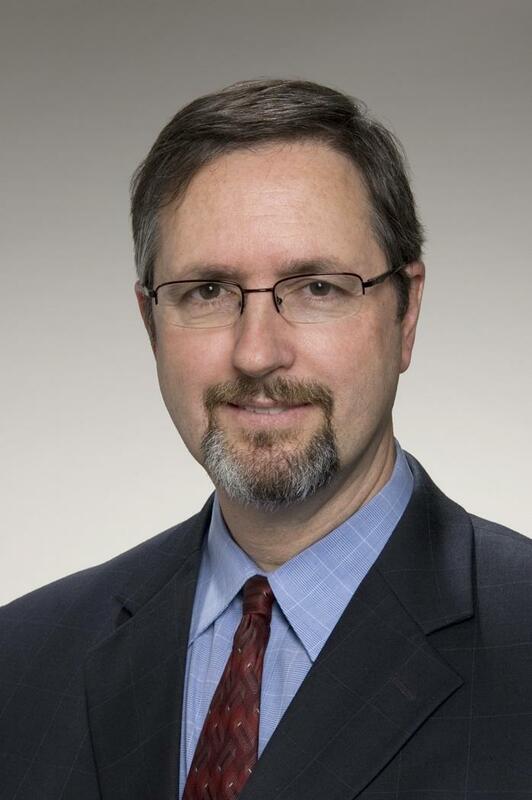 He is the current Chairman of the Data Safety Monitoring Committee of the National Institutes of Health Cardiac Surgery Network and served on the Bioengineering, Technology and Surgical Science study section of the NIH. He is the Past-President of the Massachusetts Society of Thoracic Surgeons, past President of the Northeast Cardiothoracic Surgical Society and is a member of numerous other organizations including the American Association for Thoracic Surgery, Society of University Surgeons, and the American Surgical Association. Dr. Sellke is a fellow of the American College of Cardiology, the American College of Chest Physicians, American Heart Assocation, and the American College of Surgeons. Dr Sellke investigates neurologic, behavioral, and other clinical outcomes during and after cardiac surgery. His interests focus on genomic and proteomic predictors of outcomes, and in particular the influence of inflammation and blood transfusion. Dr Sellke's basic scientific research focuses on the regulation of the microcirculation in health and disease, collateral vessel formation and its regulation, the use of angiogenic growth factors and cell therapy to increase perfusion and function of ischemic tissue and ischemic injury during heart surgery. His research is funded in large part by several grants from the National Institutes of Health. Iowa College of Medicine, Iowa City. 1992-95 American Heart Association, Massachusetts Affiliate Grant-In-Aid. “Coronary Venous Microvascular Reactivity” 13-501-912. 1992-97 NIH First Award, "Cardioplegia and Coronary Microvascular Reactivity"
chronic myocardial ischemia. [Co-investigator, Michael Simons, PI]. 1996-99 NIH RO1 HL31704. “Regulation of contraction and growth of blood vessels”. [Co-investigator, Kathleen Morgan, PI]. 1998-01 NIH R01HL 58072. “Magnetic resonance imaging of coronary collaterals”. [Co-investigator, Justin Pearlman, PI]. NIH RO1 HL62289. “Syndecan function in endothelial cells”. 1996-01 NIH R01 HL53793. “Angiogenesis in Myocardial Ischemia”. 1997-03 NIH P50 HL 56993 SCOR Molecular Medicine. Section 6. Stimulation of human coronary angiogenesis with basic FGF. [5% Co-investigator, Lew Cantley, PI]. 2001-03 "HMG CoA Reductase Inhibitors and Cardiopulmonary Bypass"
2002-03 NIH NOT-HL-02-003 MicroArray supplement for HL46716-11S1. NIH RO1 HL 072952 "KLF15, TGFb1 and smooth muscle biology"
Therumo Cardiovascular. Effects of non-ischemic acidosis on indices of myocardial dysfunction and apoptosis. [Co-PI]. 2010-13 mTor and myocardial ischemia. American Heart Association Grant in Aid. [Co-PI; C Bianchi, PI]. Differential Effects of Short-term and Long-term Increase in ROS on vascular function. Role, Co-investigator; PI: Abid. 1997-19 NIH RO1 HL-46716, "Cardioplegia and Coronary Microvascular Reactivity"
“Metabolic Regulation of Endothelial Kca Channels and Coronary Endothelial Function. Role, Co-investigator, PI, Feng, Jun. [Multiple Principal Investigators, Sellke (contact) and Anny Usheva]. 2016-17 Basic Research Grant: A new optical technique for biomolecule analysis. 2017-21 RO1 HL133624-01A1. Subcellular targeting of endothelial ROS in myocardial ischemia. Lingeman J, Donohue J, Madura J, Sellke FW. Angiomyolipoma: Emerging concepts in management. Urology 1982; 20: 566-570. Sellke FW. Williams G, Donovan D, Clarke R. Management of intra-abdominal aneurysms associated with periarteritis nodosum. J Vasc Surg 1986; 4: 294-298. Sellke FW Debski R, Ely D, Sadri F, Inman S. Regional mapping, depletion and functional correlation of myocardial catecholamines in an isolated rat heart model. Curr Surg 1986; 43: 476-479. Sellke FW, Williams G. Distal duodenal carcinoma and intussusception. South Med J 1987; 80: 644-648. Sellke FW, Ely D, Sadri F, Debski R. Comparative functional preservation of cold perfusion and non-perfusion in Langendorff isolated rat hearts. Curr Surg 1987; 44: 300-304. Sellke FW, Kelly T. Thoracic outlet syndrome. Am J Surg 1988; 156: 54-57. Sellke FW, Loughry C, Kashkari S. Angiosarcoma of the breast: report of two long-term survivals. Int Surg 1988; 73:193-195. Saaka M, Sellke FW, Kelly T. Primary hyperparathyroidism. Surg Gynecol Obstr 1988; 166: 333-337. Sellke FW, Meng R, Rossi N. Cryopreserved saphenous vein homografts for femoral distal reconstruction. J Cardiovasc Surg 1989; 30: 838-842. Sellke FW, Banitt P, Harrison D. Adrenergic regulation of the coronary microcirculation. Surg Forum 1989; 40: 225-227. Sellke FW, Myers P, Bates J, Harrison D. Influence of vessel size on the sensitivity of coronary microvessels to nitroglycerin. Am J Physiol 1990; 258 (Heart-Circ Physiol 27):H515-H520. Sellke FW, Armstrong ML, Harrison D. Endothelium-dependent vascular relaxation is abnormal in the coronary microcirculation of atherosclerotic primates. Circulation 1990; 81: 1586-1593. Sellke FW, Quillen JE, Brooks LA, Harrison DG. Endothelial modulation of the coronary vasculature in vessels perfused via mature collaterals. Circulation1990; 81:1938-1947. Sellke FW, Lemmer J, Vandenberg B, Ehrenhaft J. Cardiac myxomas: long term results following surgical treatment. Ann Thorac Surg 1990;50: 557-561. Quillen JE, Sellke FW, Brooks LA, Harrison DG. Ischemia-reperfusion impairs endothelium-dependent relaxation of coronary microvessels while not affecting large coronary arteries. Circulation 1990; 82: 586-594. Harrison DG, Sellke FW, Quillen JE. Neurohumoral regulation of coronary collateral vasomotor tone. Basic Res Cardiol. 1990; 85 (Suppl): 121-129. Sellke FW, Lazsewski M, Johnson R, Smith R, Rossi NP. Hemangiopericytoma of the sternum. Arch of Path Lab Med 1991; 115: 242-244. Quillen JE, Sellke FW, Harrison DG. Long term hypercholesterolemia alters the reactivity of primate coronary microvessels to platelet products. Arteriosclerosis and Thrombosis 1991; 11: 639-644. Sellke FW, Tomanek R, Harrison DG. L-cysteine selectively enhances nitroglycerin induced relaxation in small coronary microvessels, J Pharm Exper Ther 1991; 258: 365-369. Sellke FW, Stanford W, Rossi NP. Failure of cryopreserved saphenous vein allografts following coronary artery bypass. J Cardiovasc Surgery 1991; 32: 820-823. Quillen JE, Sellke FW, Banitt P, Harrison DG. Effect of norepinephrine on the coronary microcirculation. J. Vasc Research 1992; 1: 2-7. Sellke FW, Quillen JE. Altered effects of vasopressin on the coronary circulation following ischemia. J Thorac Cardiovasc Surg 1992; 104: 357-363. Harrison DG, Kurz MA, Quillen JE, Sellke FW, Mugge A. Normal and pathophysiologic considerations of endothelial regulation of vascular tone: relevance of nitrate therapy. Am J Cardiol 1992; 70: 11B-17B. Ely DL, Dunphy G, Dollwet H, Richter H, Sellke FW, Azodi M. 24 Hour isolated rat heart preservation using deferoxamine. Free Radical Biology and Medicine 1992; 12: 479-485. Sellke FW, Kagaya Y, Johnson RG, Shafique T, Schoen FJ, Grossman W, Weintraub RM. Endothelial modulation of the porcine coronary microcirculation perfused via immature collaterals. Am J Physiol. 1992; 262: H1669-H1675. Breall JA, Goldberger A, Warren S, Diver D, Sellke FW. Posterior mediastinal masses: rare causes of cardiac compression. Am Heart J 1992; 124: 523-526. Sellke FW, Shafique T, Schoen FJ, Weintraub RM. Impaired endothelium-dependent coronary microvascular relaxation following cold potassium cardioplegia and reperfusion. J Thoracic Cardiovasc Surgery 1993; 105: 52-58. Banitt PF, Shafique T, Weintraub RM, Johnson RG, Schoen FJ, Sellke FW. Relaxation responses of the coronary microcirculation after cardiopulmonary bypass and ischemic cardioplegia: implications for the treatment of postoperative coronary spasm. J Cardiothoracic and Vascular Anesthesia 1993; 7: 55-60. Reiland-Smith JA, Weintraub RM, Sellke FW, Traumatic aortic valve injury sustained despite the deployment of an automobile air bag. Chest 1993; 103:1603. Shafique T, Sellke FW, Thurer RL, Weintraub RM, Johnson RG, Cardiopulmonary bypass and pulmonary thromboxane generation. Ann Thorac Surg 1993; 55: 724-728. Sellke FW, Shafique T, Johnson RG, Dai Hai-Bin, Banitt PF, Schoen FJ, Weintraub RM. Blood-and albumin-cardioplegia preserve endothelium-dependent microvascular responses during cardiopulmonary bypass and ischemic arrest. Ann Thorac Surg 1993; 55: 977-985. Shafique T, Johnson RG, Dai Hai-Bin, Weintraub RM, Sellke FW. Altered pulmonary microvascular reactivity following total cardiopulmonary bypass. J Thorac Cardiovasc Surgery 1993; 105:479-486. Sellke FW, Dai Hai-Bin. Responses of porcine epicardial venules to neurohumoral substances. Cardiovasc Res 1993; 27: 1326-1332. Sellke FW, Shafique T, Ely DL, Weintraub RM. Coronary endothelial injury following cardiopulmonary bypass and ischemic cardioplegia is mediated by oxygen-derived free radicals. Circulation 1993; 88 (part 2): 395-400. Sellke FW, Friedman M, Dai HB, Shafique T, Schoen FJ, Weintraub RM, Johnson RG. Mechanisms causing coronary microvascular dysfunction following ischemic cardioplegia and reperfusion. Cardiovascular Research 1993; 27:1925-1932. Nunez BD, Miao L, Wang Y, Nunez MM, Sellke FW, Ross JN, Susulic V, Paik GY, Carrozza JP Jr, Morgan JP. Cocaine-induced microvascular spasm in Yucatan miniature swine. In vivo and in vitro evidence of spasm. Circulation Research 1994; 74:281-290. Piana RN, Shafique T, Dai H-B, Sellke FW. Epicardial and endocardial coronary microvascular responses. Effects of ischemia reperfusion. J Cardiovasc Pharmacology l994; 23: 539-546. Sellke FW, Wang SY, Vandermeer TJ, Fink MP. Escherichia coli endotoxemia alters coronary and pulmonary arteriolar responses to platelet products. Shock 1994; 1:279-285. Sellke FW, Friedman M, Wang SY, Piana RN, Dai H-B, Johnson RG. Adenosine and AICA-Riboside fail to enhance microvascular endothelial preservation. Ann Thorac Surg 1994; 58: 200-206. Wang SY, VanderMeer TJ, Fink MP, Sellke FW. Uncoupling of coronary microvascular ß2-adrenoceptors by Escherichia coli endotoxemia Surgery 1994; 116: 307-312. Harada K, Grossman W, Friedman M,Edelman ER, Prasad PV, Keighley C, Manning WJ Sellke FW, Simons M. Basic fibroblast growth factor improves myocardial function in chronically ischemic porcine hearts. J Clin Invest 1994; 94:623-630. Piana RN, Banitt PF, Nunez BD, Dai-H-B, Sellke FW. Coronary microvascular responses following exposure to iodinated contrast media. Investigative Radiology 1994; 29: 877-881. Sellke FW,Wang SY, Friedman M, Harada K, Edelman ER, Grossman W, Simons M. Basic FGF enhances endothelium dependent relaxation of the collateral –perfused coronary microcirculation. Am J Physiol l994; 267: Hl303-Hl3ll. Park KW, Dai-H-B, Lowenstein E, Darvish A, Sellke FW. Heterogeneous vasomotor responses of rabbit coronary microvessels to isoflurane. Anesthesiology 1994; 81:1190-1197. Friedman M, Johnson RG, Wang SY, Dai HB, Thurer RL, Weintraub RM, Sellke FW. Pulmonary microvascular responses to protamine and histamine. Effects of cardiopulmonary bypass. J Thoracic Cardiovasc Surg 1994; 108: 1092-1099. Wang SY, Friedman M, Johnson RG, Weintraub RM, Sellke FW. Adrenergic regulation of the coronary microcirculation after extracorporeal circulation and crystalloid cardioplegia. Am J. Physiol (Heart and Circ Physiol) 1994; 267: H2462-H2470. Friedman M, Sellke FW, Wang SY, Weintraub RM, Johnson RG. Parameters of pulmonary injury after total and partial cardiopulmonary bypass. Circulation 1994; 90: II-262-II-268. Wang SY, Nunez BD, Morgan JP, Dai H-B, Ross JN, Sellke FW. Cocaine and the porcine coronary microcirculation: Effects of chronic cocaine exposure and hypercholesterolemia. J Cardiothorac Vasc Anesth1995; 9: 290-296. Friedman M, Wang SY, Sellke, FW, Franklin A, Weintraub RM, Johnson RG. Pulmonary injury after total or partial Cardiopulmonary bypass with thromboxane synthesis inhibition. Ann Thorac Surg 1995; 59: 598-603. Park KW, Dai H-B, Lowenstein E, Darvish A, Sellke,FW. Oxygen-derived free radicals mediate isoflurane-induced vasoconstriction of rabbit coronary resistance arteries. Anesthesia and Analgesia 1995; 80: 1163-1167. Banitt PF, Dai H-B, Wang SY, Friedman M, Sellke FW. Myogenic and agonist-induced esponses of coronary venules after cold, hyperkalemic cardioplegia. Cardiovasc Res 1995; 29: 827-833. Wang SY, Friedman M, Johnson RG, Zeind AJ, Sellke FW. ATP-Sensitive K+ channels mediate post-cardioplegia coronary hyperemia, J. Thorac Cardiovasc Surg 1995; 110:1073-1082. Wang SY, Friedman M, Franklin A, Sellke FW. Myogenic reactivity of coronary resistance arteries after cardiopulmonary bypass and hyperkalemic cardioplegia. Circulation 1995; 92: 1590-1596. Johnson RG. Sirois C, Watkins JF, Thurer RL, Sellke FW, Cohn WE, Kuntz RE, Weintraub RM. CABG after Successful PTCA: A case-control study. Ann Thoracic Surg 1995; 59: 1391-1396. Sellke FW, Wang SY, Friedman M, Dai H-B, Harada K, Lopez JJ, Simons M. B-adrenergic modulation of the collateral-dependent coronary microcirculation. J. Surg Res 1995; 59: 185-190. Park KW, Dai H-B, Lowenstein E, Darvish A, Sellke FW. Isoflurane attenuates cAMP-mediated vasodilation in rat microvessels. Circulation 1995; 92: II 423-II 427. Park KW, Dai H-B, Lowenstein E, Sellke, FW. Propofol-associated dilation of rat distal coronary arteries in mediated by multiple agents, including endothelium-derived nitric oxide. Anesthesia and Analgesia 1995; 81: 1191-1196. Friedman M, Wang SY, Stahl GL, Johnson RG, Sellke FW. Altered ß-adrenergic and cholinergic pulmonary vascular responses after total cardiopulmonary bypass. J Applied Physiol 1995; 79(6): 1998-2006. Pearlman JD, Hibberd MG, Chuang ML, Harada K, Lopez JJ, Gladstone SR, Friedman Sellke FW., Simons M. Magnetic Resonance Mapping Identifies Benefits Related to VEGF-Stimulated Coronary Collateral Angiogenesis. Nature Medicine 1995; 1:1085-1089. Park KW, Dai H-B, Lowenstein E, Sellke FW, Vasomotor responses of rat coronary arteries to isoflurane and halothane depend on pre-exposure tone and vessel size. Anesthesiology 1995; 83: 1323-1330. Friedman M, Wang SY, Sellke FW, Cohn WE, Weintraub RM, Johnson RG. Neutrophil adhesion blockade with NPC 15669 decreases pulmonary injury after total cardiopulmonary bypass. J Thorac Cardiovasc. Surg 1996; 111: 460-8. Harada K, Friedman M, Lopez JJ, Wang SY, Prasad PV, Pearlman JD, Edelman ER, Sellke FW, Simons M. Vascular endothelial growth factor mediated angiogenesis in chronic myocardial ischemia. Am J Physiol (Heart Circulatory Physiol) 1996; 270:H1791-H1802. Piana RN, Wang SY, Friedman M, Sellke FW. Angiotensin Converting Enzyme Inhibition Preserves Endothelium-dependent Microvascular Responses during short-term ischemia-reperfusion. Circulation 1996; 93:544-551. Sellke FW, Wang SY, Stamler A, Johnson RG, Cohn WE, Weintraub RM. Changes in autonomic response of the cerebral circulation after normothermic extracorporeal circulation. J Thorac Cardiovasc Surg 1996; 111: 450-461. Wang SY, Feelisch M, Harrison DG, Sellke FW, Preferential dilation of large coronary microvessels by the mononitrates SPM-4744 and SPM-5185. J. Cardiovasc Pharmacol 1996; 27: 587-593. Park KW, Dai H-B, Lowenstein E, Sellke FW. Steady state myogenic response of rat coronary microvessels is preserved by isoflurane, but not by halothane. Anesthesia and Analgesia 1996; 82: 969-974. Sellke FW, Wang SY, Stamler A, Lopez JJ, Li J, Li JY, Simons M. Enhanced microvascular relaxations to VEGF and bFGF in chronically-ischemic porcine myocardium. Am J Physiol 1996; 271: H713-H720. Dauerman HL, Cutlip DE, Sellke FW. Intracoronary thrombolysis in the treatment of graft closure immediately after CABG. Ann Thorac Surg 1996; 62: 280-283. Sellke FW, Li JY, Stamler A, Lopez JJ, Thomas KA, Simons M. Angiogenesis induced by acidic fibroblast growth factor as an alternative method of revascularization for chronic myocardial ischemia. Surgery 1996; 120: 182-188. Stamler A, Wang SY, Li JY, Thurer RL, Schoen FJ, Sellke FW. Moderate hypothermia reduces CPB-induced impairment of cerebrovascular responses to platelet products. Ann Thorac Surg 1996; 62: 191-198. Lopez JJ, Edelman ER, Stamler A, Morgan JP, Sellke FW, Simons M. Local perivascular administration of basic fibroblast growth factor: drug delivery and toxacologic evaluation. Drug Metabolism and Disposition 1996; 24: 922-924. Jain M, Dai H-B, Carrozza J, Sellke FW, Morgan KG. Intrinsic tone as potential vascular reserve in conductance and resistance vessels. Circulation 1996; 94: 1083-1088. Park KW, Dai H-B, Lowenstein E, Sellke FW. Protein kinase C-induced contraction is inhibited by halothane, but enhanced by isoflurane. Anesthesia and Analgesia 1996; 83: 286-290. Sellke FW, Boyle EM, Verrier ED. Endothelial cell injury in cardiovascular surgery: The pathophysiology of vasomotor dysfunction. Ann Thoracic Surg 1996; 62: 1222-1228. Park KW, Lowenstein E, Sellke FW. (letter) Reply to: Vasomotor effects of isoflurane in the coronary circulation (Crystal GJ). Anesthesiology 1996; 84: 1517-1518. Park KW, Lowenstein E, Dai H-B, Lopez JJ, Stamler A, Simons M, Sellke FW. Direct vasomotor effects of isoflurane in subepicardial resistance vessels from collateral-dependent and normal circulation of pigs. Anesthesiology 1996; 85: 584-591. Stamler A, Wang SY, Aguirre DE, Sellke FW, Johnson RG. Effects of Pentastarch-deferoxamine conjugate on lung injury after cardiopulmonary bypass. Circulation 1996; 94: II-358-II-363. Wang SY, Stamler A, Tofukuji M, Deuson TE, Sellke FW. Effects of blood and crystalloid cardioplegia on adrenergic and myogenic vascular mechanisms. Ann Thorac Surg 1997; 63: 41-49. Park KW, Dai H-B, Lowenstein E, Darvish A, Sellke,FW. Isoflurane and halothane attenuate endothelium-dependent vasodilatation in rat coronary microvessels. Anesthesia and Analgesia 1997; 84: 278-284. Park KW, Dai H-B, Lowenstein E, Sellke FW. Isoflurane- and Halothane-mediated dilation of distal bronchi in the rat depends on the epithelium. Anesthesiology 1997; 86: 1078-1087. Tofukuji M, Stamler A, Li JY, Franklin A, Wang SY, Hariawala MD, Sellke FW. Effects of magnesium cardioplegia on regulation of the porcine coronary circulation. J Surg Res 1997; 69: 233-239. Wang SY, Cameron EM, Fink MP, Sellke FW. Chronic septicemia alters alpha-adrenergic mechanisms in the coronary circulation. J Surg Res 1997; 69: 61-66. Wang SY, Stamler A, Li JY, Johnson RG, Sellke FW. Decreased myogenic reactivity in skeletal muscle arterioles after hypothermic cardiopulmonary bypass. J Surg Res 1997; 69: 40-44. Hariawala MD, Deshmukh VV, Sellke FW. Insulin resistance: A common factor in the triad of dyslipidemia, hypertension, and coronary artery disease. Am J Med Sci 1997; 313: 104-106. Stamler A, Wang SY, Aguirre DE, Johnson RG, Sellke FW. Cardiopulmonary bypass alters vasomotor regulation of the skeletal muscle microcirculation. Ann Thorac Surg 1997; 64: 460-465. Johnson RG, Sirois C, Thurer RL, Sellke FW, Cohn WE, Kuntz RE, Weintraub RM. Predictors of CABG within one year of successful PTCA: A retrospective, case-control study. Ann Thorac Surg 1997; 64: 3-8. Lopez JJ, Edelman ER, Stamler A, Hibberd MG, Pottumarthi P, Caputo RP, Carrozza JP, Douglas PS, Sellke FW, Simons M. bFGF in a model of chronic myocardial ischemia: Comparison of angiographic, echocardiographic and coronary flow parameters. J Pharm Exper Ther1997; 282: 385-390. Hariawala MD, Sellke FW. Angiogenesis and the heart: Therapeutic implications. Journal of the Royal Society of Medicine 1997; 90: 307-311. Sellke FW, Tofukuji M, Stamler A, Li JY, Wang SY. ß–adrenergic regulation of the cerebral microcirculation after hypothermic cardiopulmonary bypass. Circulation 1997; 96: II-304-II310. Lopez JJ, Laham RJ, Carrozza JP, Tofukuji M, Sellke FW, Bunting S, Simons M. Hemodynamic effects of intracoronary VEGF delivery-Evidence of tachyphylaxis and NO dependence of response. Am J Physiol (Heart and Circulatory Physiology) 1997; 273: H1317-H1323. Park KW, Dai H-B, Ojamaa K, Lowenstein E, Klein I, Sellke FW. Direct vasomotor effect of thyroid hormones on rat skeletal muscle resistance arteries. Anesthesia and Analgesia 1997; 85: 734-738. Tofukuji M, Stamler A, Li JY, Hariawala MD, Franklin A, Sellke FW. Comparative effects of continuous warm blood and intermittent cold blood cardioplegia on coronary reactivity. Ann Thorac Surg 1997; 64: 1360-1367. Tofukuji M, Dessy C, Hariawala MD, Morgan KG, Sellke FW. Magnesium cardioplegia preserves ß-adrenergic regulation and limits calcium influx in the coronary microcirculation. American College of Surgeons Surgical Forum 1997; 48: 331-333. Cameron EW, Wang SY, Fink MP. Sellke FW. Mesenteric and skeletal muscle microvascular responsiveness in subacute sepsis. Shock 1998; 9: 184-192. Lopez JJ, Edelman ER, Stamler A, Hibberd MG, Prasad P, Thomas KA, Disalvo J, Caputo RP, Carrozza JP, Douglas PS, Sellke FW, Simons M. Angiogenic potential of perivascular delivered aFGF in a porcine model of chronic myocardial ischemia. Am J Physiol 1998; 274: H930-H936. Park KW, Dai H-B, Lowenstein E, Sellke FW. Epithelial dependence of the bronchodilatory effect of sevoflurane and desflurane in rat distal bronchi. Anesthesia and Analgesia.1998; 86: 646-651. Park KW, Dai H-B, Lowenstein E, Stamler A , Sellke FW. Effect of isoflurane on the ß-adrenergic and endothelium-dependent relaxation of pig cerebral microvessels after cardiopulmonary bypass. J Stroke Cerebrovasc Dis 1998; 7: 168-178. Sellke FW, Tofukuji M, Laham RJ, Li JY, Hariawala MD, Bunting S, Simons M. Comparison of VEGF delivery techniques on collateral-dependent microvascular reactivity. Microvasc Res 1998; 55: 175-178. Sellke FW, Laham RJ, Edelman ER, Pearlman JD, Simons M. Therapeutic angiogenesis in patients using basic-fibroblast growth factor: Technique and early results. Ann Thorac Surg 1998; 65: 1540-1544. Varma N, Sellke FW, Epstein LM. Chronic atrial lead explantation using a staged percutaneous laser and open surgical approach. Pacing and clinical electrophysiology 1998; 21: 1483-1485. Park KW, Dai H-B, Lowenstein E, Sellke FW. Flow-induced dilation of rat coronary microvessels is attenuated by isoflurane, but enhanced by halothane. Anesthesiology 1998; 89: 132-142. Tofukuji M, Metais C, Wang SY, Alper SL, Sellke FW. Clotrimazole is a potent vasodilator of the rat coronary microcirculation. J Surg Res 1998; 77: 6-10. Metais C, Li JY, Li J, Simons M, Sellke FW. Effect of coronary artery disease on expression and microvascular response to VEGF. Am J Physiol (Heart and Circulatory Physiol) 1998; 275: H1411-H1418. Tofukuji M, Metais C, Li JY, Hariawala MD, Franklin A, Vassileva C, Li J, Simons M, Sellke FW. Effects of ischemic preconditioning on myocardial perfusion, function and microvascular regulation. Circulation 1998; 98: II-197-205. Metais C, Li JY, Haering JM, Cohn WE, Simons M, Sellke FW. Altered microvascular regulation by acute myocardial ischemia. American College of Surgeons Surgical Forum XLIX: 258-260, 1998. Tofukuji M, Metais C, Li J, Franklin A, Simons M, Sellke FW. Myocardial VEGF expression after cardiopulmonary bypass and cardioplegia. Circulation 1998; 98: II-242-246. Lopez JJ, Laham RL, Stamler A, Pearlman JD, Bunting S, Kaplan A, Carrozza JP, Sellke FW, Simons M. VEGF administration in chronic myocardial ischemia in pigs. Cardiovasc Res 1998; 40: 272-281. Tofukuji M, Stahl GL, Agah A, Metais C, Simons M, Sellke FW. Anti-C5a monoclonal antibody reduces cardiopulmonary bypass and cardioplegia-induced coronary endothelial dysfunction. J Thorac Cardiovasc Surg 1998; 116: 1060-1068. Laham RJ, Simons M, Tofukuji M, Hung D, Sellke FW. Modulation of myocardial perfusion and vascular reactivity by pericardial basic fibroblast growth factor: Insight into ischemia-induced reduction in endothelium-dependent relaxation. J Thorac Cardiovasc Surg 1998; 116: 1022-1028. Sellke FW, Richter HW, Dunphy G, Azodi M, Ely DL. Twenty-four hour heart preservation using continuous cold perfusion and copper (II) complexes. J Surg Res 1998; 80: 171-176. Tofukuji M, Metais C, Collard CD, Morse DS, Stahl GL, Nelson DP, Li J, Simons M, Sellke FW. Effect of sialyl Lewisx-oligosaccharide on myocardial and cerebral injury in the pig. Ann Thorac Surg 1999; 67: 112-119. Sellke FW, Park KY, Lowenstein E. (letter): Vascular effects of isoflurane: no inconsistency between data. Anesthesiology 1999; 90: 919-920. Bianchi C, Sellke FW, Del Vecchio R, Tonks NK, Neel BG. Receptor-type protein-tyrosine phosphatase µ (RPTPµ) is expressed in specific vascular endothelial beds in vivo. Experimental Cell Research 1999; 248: 329-338. Matsuda N, Tofukuji M, Morgan KG, Sellke FW. Coronary microvascular protection with magnesium: Effects on intracellular calcium and vascular function. Am J Physiol 1999; 276: H1124-H1130. Park KW, Dai H-B, Lowenstein E, Sellke FW. Effect of sevoflurane and desflurane on the myogenic contraction and flow-induced dilation in rat coronary arterioles. Anesthesiology 1999; 90: 1422-1427. Dunphy G, Richter HW, Azodi M, Weigand J, Sadri F, Sellke F, Ely D. The effects of mannitol, albumin and cardioplegia enhancers on twenty-four hour rat heart preservation. Am J Physiol 1999; 276: H1591-H1598. Laham RJ, Rezaee M, Post M, Sellke FW, Hung D, Simons M. Intracoronary and intravenous administration of basic fibroblast growth factor: Myocardial and tissue distribution. Drug Metabolism and Disposition 1999; 27: 821-826. Park KW, Tofukuji M, Metais C, Comunale M, Dai HB, Simons M, Stahl GL, Agah A, Sellke FW. Attenuation of endothelium-dependent dilation of pig pulmonary arterioles following cardiopulmonary bypass is mediated by complement C5a. Anesthesia and Analgesia 1999; 89: 42-48. Matsuda N, Tofukuji M, Morgan KG, Sellke FW. Influence of oxygenation on endothelial modulation of coronary vasomotor function during hyperkalemic cardioplegia. Surgery 1999; 126: 264-271. Tofukuji M, Matsuda N, Dessy C, Morgan KG, Sellke FW. Intracellular free calcium accumulation in ferret vascular smooth muscle during crystalloid and blood cardioplegic infusions. J Thorac Cardiovasc Surg 1999; 118: 163-172. Cohn WE, Sellke FW, Sirois C, Johnson RG. Surgical intensive care unit recidivism after cardiac operation. Chest 1999; 116: 688-692. Laham RJ, Sellke FW, Edelman ER, Pearlman JD, Ware JA, Brown D, Gold J, Simons M. Local perivascular delivery of basic fibroblast growth factor in patients undergoing coronary bypass surgery: Results of a phase 1 randomized, double-blind, placebo-controlled trial. Circulation 1999; 100: 1865-1871. Matsuda N, Morgan KG, Sellke FW. Preconditioning improves cardioplegia-related coronary microvascular smooth muscle hypercontractility: Role of KATP channels. J Thorac Cardiovasc Surgery 1999; 118: 438-445. Metais C, Li JY, Li J, Simons M, Sellke FW. Serotonin-induced coronary contraction increases after blood cardioplegia-reperfusion: Role of COX-2 expression. Circulation 1999; 100: II-328-II334. Matsuda N, Morgan KG, Sellke FW. Preconditioning inhibits Ca2+ accumulation in coronary smooth muscle and prevents vasospasm during and after hyperkalemic cardioplegia through a KATP channel mechanism. American College of Surgeons Surgical Forum 1999; vol. L: 91-92. Tofukuji M, Stahl GL, Metais C, Tomita M, Agah A, Bianchi C, Fink MP, Sellke FW. Mesenteric dysfunction after cardiopulmonary bypass: Role of complement C5a. Ann Thorac Surg 2000; 69: 799-807. Li J, Post M, Volk R, Gao Y, Li Min, Metais C, Sato K, Tsai J, Aird W, Rosenberg RD, Hampton TG, Li JY, Sellke F, Carmeliet P, Simons M. Novel peptide regulator of angiogenesis. Nature Medicine 2000; 6: 49-55. Laham RJ, Rezaee M, Post M, Novicki D, Sellke FW, Pearlman JD, Simons M, Hung D. Intrapericardial delivery of fibroblast growth factor-2 induces neovascularization in a porcine model of chronic myocardial ischemia. J Pharm Exp Ther 2000; 292: 795-802. Park KW, Sato K, Dai HB, Comunale ME, Sellke FW. Epithelium-dependent bronchodilation is preserved in pig bronchi following normothermic CPB. Anesthesia and Analgesia 2000; 90: 778-783. Park KW, Hai H-B, Comunale M, Gopal A, Sellke FW. Dilation by isoflurane of preconstricted very small arterioles from human right atrium is mediated by KATP channel-opening. Anesthesia & Analgesia. 2000; 91: 76-81. Matsuda N, Morgan KG, Sellke FW. Effects of pinacidil on coronary Ca 2+ - myosin phosphorylation pathway in a cold potassium cardioplegia model. Am J Physiol 2000; 279: H882-H888. Dessy C, Matsuda N, Hulvershorn J, Sougnez CL, Sellke FW, Morgan KG. Evidence for involvement of the PKC alpha isoform in myogenic contraction of the coronary microcirculation. Am J Physiology 2000; 279: H916-H923. Matsuda N, Sellke FW. Regulation of coronary myoplasmic Ca 2+ - myosin phosphorylation and vasomotor tone: Hyperpolarizing vs depolarizing cardioplegia. Surgery 2000; 128: 185-191. Sato K, Li JY, Metais C, Bianchi C, Sellke FW. Increased pulmonary vascular contraction to serotonin after cardiopulmonary bypass: Role of inducible cyclooxygenase. J Surg Res 2000; 90: 138-143. Bianchi C, Sellke FW. COS cells expression cloning of tyrosine-phosphorylated proteins by immunocytochemistry. J Histochem Cytochem 2000; 48: 1097-1101. Sato K, Wu T, Laham RJ, Pearlman JD, Sellke FW, Simons M, Post MJ. Efficacy of intracoronary versus venous FGF-2 in a pig model of chronic myocardial ischemia. Ann Thoracic Surg 2000; 70: 2113-2118. Simons M, Bonow RO, Chronos N, Cohen DJ, Giordano F, Hammond HK, Laham RJ, Li W, Pike M, Sellke FW, Stegmann T, Udelson JE, Rosengart T. Clinical Trials in coronary angiogenesis-Issues, Problems, Consensus- Expert panel summary. Circulation 2000; 102(11): E73-E86. Schermerhorn ML, Tofukuji M, Khoury PR, Phillips L, Hickey PR, Sellke FW, Mayer JE, Nelson DP. Sialyl Lewis X oligosaccharide preserves cardiopulmonary and endothelial function after hypothermic cardiopulmonary bypass in lambs. J Thorac Cardiovasc Surgery 2000; 120: 230-237. Araujo E, Bianchi C, Sato K, Sellke FW. Changes in activities of 42/44 MAP kinases by cardiopulmonary bypass. American College of Surgeons Surgical Forum 2000; LI: 142-144. Sato K, Wu T, Laham RJ, Johnson RB, Douglas PS, Li JY, Sellke FW, Bunting S, Simons M, Post MJ. Efficacy of intracoronary versus intravenous VEGF165 in a pig model of chronic myocardial ischemia. J Am Coll Cardiol 2001; 37: 616-623. Cohn WE, Weintraub RM, Sellke FW. Innovative minimally invasive surgical approaches to coronary revascularization in the high risk patient. Heart Surgery Forum 2001; 3: 185-188. Bianchi C, Araujo E, Sato K, Sellke FW. Biochemical and structural evidence for pig myocardium adherens junction disruption by cardiopulmonary bypass. Circulation 2001; 104[suppl I]: I-319-I-324. 171. Feng J, Bianchi C, Li JY, Sellke FW. Bradykinin Preconditioning Preserves Coronary Microvascular. Reactivity during Cardioplegia-Reperfusion. Ann Thorac Surg 2005; 79(3): 911-6. Khan TA, Bianchi C, Voisine, Araujo E, Xu S-H, J, Feng J, Malik T, Li J, Sellke FW. Aprotinin preserves cellular junctions and reduces myocardial edema after regional ischemia and cardioplegic arrest. Circulation. 2005;112(9 Suppl):I196-201. Boodhwani M, Feng J, Mieno S, Ramlawi B, Clements R, Sellke FW. Effects of purified poloxamer 407 gel on vascular occlusion and the coronary endothelium. European Journal of Cardiothoracic Surgery. 2006; 29(1): 65-70. Epub 2005 Dec 7. Rudolph JL, Ramlawi B, Kuchel GA, McElhaney JE, Xie D, Sellke FW, Levkoff SE, Marcantonio ER. Chemokines are associated with delerium after cardiac surgery. The Journal of Gerontology: Medical Sciences 2008 Feb;63(2):184-9. Khabbaz KR, Feng J, Boodhwani M, Clements R, Bianchi C, Sellke FW. Non-ischemic myocardial acidosis adversely affects microvascular and myocardial function and triggers apoptosis during cardioplegia. J Thorac Cardiovasc Surg. 2008 Jan;135(1):139-46. 237. Ranaweera PS, Bigelow BC, Leary MC, de la Torre R, Sellke F, Garcia LA. Endovascular carotid artery stenting and early coronary artery bypass grafting for asymptomatic carotid artery stenosis: Long-term outcomes and neurologic events. Catheter Cardiovasc Interv. 2009 Feb 1;73(2):139-42. Osipov R, Bianchi C, Feng J, Liu Y, Clements RT, Glazer HP, Sodha NR, Sellke FW . Effect of hypercholesterolemia on myocardial necrosis and apoptosis in response to ischemia reperfusion. Circulation 2009 Sep 15;120(11 Suppl):S22-30. Coady M, Sellke FW. The metalothionein link to bicuspid aortic valve-associated ascending aortic dilatation. Circulation 2009 May 12;119(18):2423-5. Osipov RM, Robich MP, Bianchi C, Feng J, Clements RT, Liu Y, Glazer HP, Sellke FW. The effect of thrombin fragment (TP508) on myocardial ischemia reperfusion injury in the setting of hypercholesterolemia. J Applied Physiology 2009 Jun;106(6):1993-2001. Gill R, Herbertson M, Vuylsteke A, Olsen PS, von Heymann C, Mythen M, Sellke F, Booth F, Schmidt TA. Safety and efficacy of recombinant activated factor VII: A randomized, placebo-controlled trial in the setting of bleeding following cardiac surgery. Circulation 2009 Jul 7;120(1):21-7. Nolan JP, Neumar RW, Adrie C, Aibiki M, Berg RA, Bbttiger BW, Callaway C, Clark RS, Geocadin RG, Jauch EC, Kern KB, Laurent I, Longstreth WT, Merchant RM, Morley P, Morrison LJ, Nadkarni V, Peberdy MA, Rivers EP, Rodriguez-Nunez A, Sellke FW, Spaulding C, Sunde K, Hoek TV. Post-cardiac arrest syndrome: Epidemiology, pathophysiology, treatment, and prognostication: Int Emerg Nurs. 2009 Oct;17(4):203-25. Oyamada S, Bianchi C, Takai S, Robich MP, Clements RT, Chu L. Sellke FW. Impact of acute ischemia reperfusion on tissue and blood-born rennin-angiotensin system. Basic Res Cardiol 2010; 105: 513-522. Coady MA, Ikonomidis JS, Cheung AT, Matsumato AH, Dake MD, Chaikof EL, Cambria RP, Mora-Mangano CT, Sundt TM, Sellke FW; on behalf of the American Heart Association Council on Cardiovascular Surgery and Anesthesia: Council on Peripheral Vascular Disease. Surgical Management of Descending Thoracic Aortic Disease: Open and Endovascular Approaches: A Statement from the American Heart Association. Circulation 2010; 121: 2780-2804. Sellke FW, Chu LM, Cohn WE. The current state of surgical myocardial revascularization. Circulation Journal 2010; 25: 1031-1037. Mieno S, Boodhwani M, Robich MP, Clements RT, Sodha NR, Sellke FW. Effects of diabetes mellitus on VEGF-induced proliferation response in bone marrow derived endothelial progenitor cells. J Cardiac Surg 2010; 25: 618-625. Chu LM, Osipov RM, Robich MP, Oyamada S, Feng J, Sheller MR, Sellke FW. The effect of thrombin fragment (TP508) on myocardial ischemia reperfusion injury in a model of type 1 diabetes. Circulation 2010; 122 (11 suppl): S162-169. Clements RT, Cordeiro B, Feng J, Bianchi C, Sellke FW. p38-MAPK-dependent Heat Shock Protein 27 (HSP27) and αB-crystallin (cryAB) Phosphorylation in Regulation of Myocardial Function Following Cardioplegic Arrest. AJP-Heart and Circulatory Physiology. 2011: 200: H1669-1677. Feng J, Liu Y, Chu LM, Clements RT, Khabbaz KR, Robich MP, Bianchi C, Sellke FW. Thromboxane induced contractile response of human coronary arterioles is diminished post-cardioplegic arrest. Ann Thorac Surg 2011 92(3):829-36. Chu LM, Robich MP, Lassaletta AD, Feng J, Clements RT, Bianchi C, Sellke FW. Resveratrol abrogates pro-angiogenic effects of intramyocardial VEGF in a hypercholesterolemic swine model of chronic ischemia. Surgery 2011 Sep;150(3):390-9. Epub 2011 Jul 23. Chu LM, Robich MP, Lassaletta AD, Burgess T, Liu Y, Sellke N, Sellke FW. Hypercholesterolemia and chronic ischemia alter myocardial responses to selective cyclooxygenase-2 inhibition. J Thorac Cardiovasc Surg 2011 Sep;142(3):675-81. Ng T, Chern H, Ryder BA, Sellke FW, Harrington DT, Cioffi WG. The effect of leukocyte-depleted blood transfusion on survival in resected early stage lung cancer. J Thorac Cardiovasc Surg 2102: 143: 815-819. Lassaletta AD, Chu LM, Robich MP, Burgess T, Laham RJ, Sturek M, Sellke FW. Overfed Ossabaw swine with early stage metabolic syndrome have normal coronary collateral development in response to chronic ischemia. Basic Res Cardiol 2012; 107: 1-11. Ashley E, Hershberger RE, Caleshu C, Ellinor PT, Garcia JGN, Herrington D, Ho C, Johnson JA, Kittner S, MacRae CA, Mudd G, Rader DJ, Roden D, Scholes D, Sellke FW, Towbin J, VanEyk J, Worrall BB. Genetics and cardiovascular disease. Circulation 2012; 126: 142-157. Feng J, Liu Y, Chu LM, Dobrilovic N, Singh AK, Fingleton JG, Clements RT, Bianchi C, Sellke FW. Changes in microvascular reactivity after cardiopulmonary bypass in patients with poorly controlled versus controlled diabetes. Circulation 2012 Sep 11;126(11 Suppl 1):S73-80. Elmadhun NY, Lassaletta AD, Chu LM, Sellke FW. Metformin Alters The Insulin Signaling Pathway In Ischemic Cardiac Tissue In A Swine Model Of Metabolic Syndrome. J Thorac Cardiovasc Surg 2013 Jan;145(1):258-65; discussion 265-6. Feng J, Liu Y, Dobrilovic N, Singh AK, Sabe AA, Bianchi C, Sellke FW. Altered expression and activation of mitotgen-activated protein kinases in diabetic heart during cardioplegic arrest and cardiopulmonary bypass. Surgery 2013 Sep;154(3):436-43. Kartouti K, von Heymann C, Jespersen CM, Korte W, Levy JH, Ranucci M, Sellke FW, Song HK. Efficacy and safety of recombinant factor XIII on reducing blood transfusions in cardiac surgery: A randomized, placebo-controlled, multicenter clinical trial. J Thorac Cardiovasc Surg 2013 Sep 3;128(10):1139-69. Tice J, Sellke FW, Schaff H. Transcatheter Aortic Valve Replacement In Patients With Severe Aortic Stenosis Who Are At High Risk For Surgical Complications: Summary Assessment of the California Technology Assessment Forum. J Thorac Cardiovasc Surg 2014; 148: 482-491. Elmadhun NY, Sabe AA, Lassaletta AD, Sellke FW. Alcohol comsumption mitigates apoptosis and mTOR signaling in myocardium. J Am Col Surg 2014; 218: 1175-81. Zheng X, Wang Y, Lan Z, Lyu Y, Feng G, Zhang Y, Tagusari S, Kislauskis E, Robich MP, McCarthy S, Sellke FW, Laham R, Jiang X, Gu WW, Wu T. Improved biocompatibility of poly (lactic-co-glycolic acid)orv and poly-L-lactic acid blended with nanoparticulate amorophous calcium phosphate in vascular stent applications. J Biomed Nanotechnol. 2014 Jun;10(6):900-10. Matyal R, Sakamuri S, Huang T, Owais K, Parikh S, Khabbaz K, Wang A, Sellke FW, Mahmood F. Altered oxidative stress and nerve function after cardiopulmonary bypass in patients with poorly controlled type II diabetes vs well controlled and non-diabetes. Ann Thorac Surg 2014 Nov;98(5):1635-43; discussion 1643-4. 343. Nishimura RA, Otto CM, Bonow RO, Carabello BA, Erwin JP 3rd, Guyton RA, O'Gara PT, Ruiz CE, Skubas NJ, Sorajja P, Sundt TM 3rd, Thomas JD; ACC/AHA Task Force Members. 2014 AHA/ACC Guideline for the management of patients with valvular heart disease: a report of the American College of Cardiology/American Heart Association Task Force on Practice Guidelines (Sellke FW). . 2014 Jun 10;129(23):e521-643. 347.Stone NJ, Robinson JG, Lichtenstein AH, Bairey Merz CN, Blum CB, Eckel RH, Goldberg AC, Gordon D, Levy D, Lloyd-Jones DM, McBride P, Schwartz JS, Shero ST, Smith SC Jr, Watson K, Wilson PW, Eddleman KM, Jarrett NM, LaBresh K, Nevo L, Wnek J, Anderson JL, Halperin JL, Albert NM, Bozkurt B, Brindis RG, Curtis LH, DeMets D, Hochman JS, Kovacs RJ, Ohman EM, Pressler SJ, Sellke FW, Shen WK, Smith SC Jr, Tomaselli GF. 2013 ACC/AHA guideline on the treatment of blood cholesterol to reduce atherosclerotic cardiovascular risk in adults. A report of the Amican College of Cardiology/American Heart Association Task Force on Practice Guidelines: Circulation. 2014 Jun 24;129(25 Suppl 2):S1-45. 348. Eckel RH, Jakicic JM, Ard JD, de Jesus JM, Houston Miller N, Hubbard VS, Lee IM, Lichtenstein AH, Loria CM, Millen BE, Nonas CA, Sacks FM, Smith SC Jr, Svetkey LP, Wadden TA, Yanovski SZ, Kendall KA, Morgan LC, Trisolini MG, Velasco G, Wnek J, Anderson JL, Halperin JL, Albert NM, Bozkurt B, Brindis RG, Curtis LH, DeMets D, Hochman JS, Kovacs RJ, Ohman EM, Pressler SJ, Sellke FW, Shen WK, Smith SC Jr, Tomaselli GF. 2013 ACC/AHA guideline on lifestyle management to reduce atherosclerotic cardiovascular risk in adults. A report of the Amican College of Cardiology/American Heart Association Task Force on Practice Guidelines. Circulation. 2014 Jun 24;129(25 Suppl 2):S76-99. 352. Amsterdam EA, Wenger NK, Brindis RG, Casey DE Jr, Ganiats TG, Holmes DR Jr, Jaffe AS, Jneid H, Kelly RF, Kontos MC, Levine GN, Liebson PR, Mukherjee D, Peterson ED, Sabatine MS, Smalling RW, Zieman SJ; ACC/AHA Task Force Members (Sellke FW). 2014 AHA/ACC guideline for the management of patients with non-ST-elevation acute coronary syndromes: executive summary: a report of the American College of Cardiology/American Heart Association Task Force on Practice Guidelines. Circulation. 2014 Dec 23;130(25):2354-94. 356. Fihn SD, Blankenship JC, Alexander KP, Bittl JA, Byrne JG, Fletcher BJ, Fonarow GC, Lange RA, Levine GN, Maddox TM, Naidu SS, Ohman EM, Smith PK; ACC/AHA Task Force Members, Anderson JL, Halperin JL, Albert NM, Bozkurt B, Brindis RG, Curtis LH, DeMets D, Guyton RA, Hochman JS, Kovacs RJ, Ohman EM, Pressler SJ, Sellke FW, Shen WK. 2014 ACC/ AHA/AATS/PCNA/SCAI/STS focused update of the guideline for the diagnosis and management of patients with stable ischemic heart disease: A report report of the American College of Cardiology/American Heart Association Task Force on Practice Guidelines, and the American Association for Thoracic Surgery, Preventive Cardiovascular Nurses Association, Society for Cardiovascular Angiography and Interventions, and Society of Thoracic Surgeons. J Thorac Cardiovasc Surg. 2015 Mar;149(3):e5-e23. 358. Smith PK, Puskas JD, Ascheim DD, Voisine P, Gelijns AC, Moskowitz AJ, Hung JW, Parides MK, Ailawadi G, Perrault LP, Acker MA, Argenziano M, Thourani V, Gammie JS, Miller MA, Pagé P, Overbey JR, Bagiella E, Dagenais F, Blackstone EH, Kron IL, Goldstein DJ, Rose EA, Moquete EG, Jeffries N, Gardner TJ, O'Gara PT, Alexander JH, Michler RE; Cardiothoracic Surgical Trials Network Investigators (Sellke FW). Surgical Treatment of Moderate Ischemic Mitral Regurgitation. 359. Wu J, Marchioli R, Giuseppina Silletta M, Masson S, Sellke F, Libby P, Milne G, Brown N, Lombardi F, Damiano R, Marsala J, Rinaldi M, Domenech A, Simon C, Tavazzi L, Mozaffarian D. Oxidative Stress Biomarkers and Incidence of Post-Operative Atrial Fibrillation in the OPERA Trial. Journal of the American Heart Association 2015 May 20;4(5). pii: e001886. doi: 10.1161/JAHA.115.001886. 364. Pollack CV, Reilly PA, Berstein R, Dubeil R, Eikelboom J, Glund S, Huisman MV, Hylek E, Kam C-W, Kamphuisen PW, Kreuzer J, Levy JH, Sellke F, Stangler J, Steiner J, Wang B, Weitz JI. Design and Rationale for RE-VERSE AD: A Phase III Study of Idarucizumab, a Specific Reversal Agent for Dabigatran. Thromb Haemost. 2015 May 28;114(1). 376. Potz BA, Sellke FW, Abid MR. Endothelial ROS and impaired myocardial oxygen consumption in sepsis-induced cardiac dysfunction. J Intensive Crit Care. 2016;2(1). pii: 20. Epub 2016 Feb 29. 378. Gillinov AM, Bagiella E, Moskowitz AJ, Raiten JM, Groh MA, Bowdish ME, Ailawadi G, Kirkwood KA, Perrault LP, Parides MK, Smith RL 2nd, Kern JA, Dussault G, Hackmann AE, Jeffries NO, Miller MA, Taddei-Peters WC, Rose EA, Weisel RD, Williams DL, Mangusan RF, Argenziano M, Moquete EG, O'Sullivan KL, Pellerin M, Shah KJ, Gammie JS, Mayer ML, Voisine P, Gelijns AC, O'Gara PT, Mack MJ; CTSN (Sellke FW). Rate control versis rhythm control for atrial fibrillation after cardiac surgery. N Engl J Med. 2016 May 19;374(20):1911-21. 379. Michler RE, Smith PK, Parides MK, Ailawadi G, Thourani V, Moskowitz AJ, Acker MA, Hung JW, Chang HL, Perrault LP, Gillinov AM, Argenziano M, Bagiella E, Overbey JR, Moquete EG, Gupta LN, Miller MA, Taddei-Peters WC, Jeffries N, Weisel RD, Rose EA, Gammie JS, DeRose JJ Jr, Puskas JD, Dagenais F, Burks SG, El-Hamamsy I, Milano CA, Atluri P, Voisine P, O'Gara PT, Gelijns AC; CTSN (Sellke FW). Two-year outcomes of surgical treatment of moderate ischemic mitral regurgitation. N Engl J Med. 2016 May 19;374(20):1932-41. 400. Sellke FW. When in doubt, look to see what works in nature. Invited commentary. J Thorac Cardiovasc Surg in press. 411. Naeem S, Baird N, Sellke F, Ehsan A. Outcomes of packed red blood cells and platelet transfusion on aortic dissection patients after surgery. Journal of Surgical Research 2018; 232: 338-345. Clnical Cardiothoracic Surgery and Cardiovascular Research. Undergraduate and graduate students as well as medical students are welcome go participate in clinical and laboratory research.